Wates Construction is set to draw upon its East Midlands education expertise with its appointment to build a new £6.8m extension at Corby Technical School in Northamptonshire. Commissioned by the Brooke Weston Trust, the project will be overseen by independent management, design and construction consultancy, Pick Everard, which will carry out project management and quantity surveying services. Construction work has now commenced on-site and is due to be completed by October 2017. The scheme will include a two-storey extension to the existing school, as well as expansion work to the existing car park. The multi-million pound project will increase the internal floor area by approximately 3,308m2, which will provide the school with additional space for future expansion. Internal renovations of existing classrooms and facilities will also be carried out as part of the project, as well as landscaping of the external areas surrounding the school. 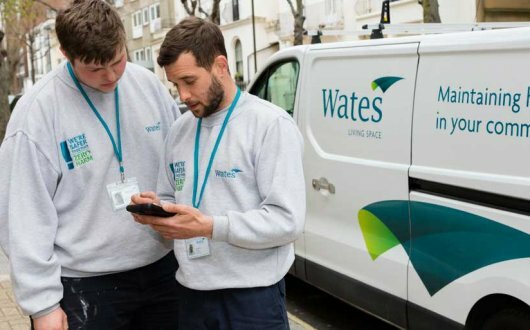 Over the course of the project, Wates will stage various engagement activities with pupils at the technical school and has made a commitment to carry out 110 weeks of training for Corby’s community throughout the work. The project was procured through the East Midlands Property Alliance (empa) framework, which is managed by Scape Group and aims to improve the procurement and building works for public sector bodies. According to recent figures published by empa, the framework and its partners have in total helped to create 5,250 new school places in the Midlands this summer. Our appointment to Corby Technical School is a great opportunity for us to build upon our reputation as a proficient contractor for the education sector, which has seen Wates lead over 70 school projects across the Midlands in the past five years. During our time at Corby Technical School we hope to inspire and encourage young people to take part in the various training activities that will be held at the scheme. Being a part of the empa framework provides us with an excellent platform to create vital employment opportunities for local businesses and members of the community. Pick Everard previously worked with the Brooke Weston Trust on Beanfield and Gretton Primary School, named NEC Small Project of the Year. The Trust is delighted to be working with Wates Construction and Pick Everard on this multi-million pound expansion which will provide excellent additional facilities including new Sixth Form provision and updated classrooms. It will allow us to double the number of students we accommodate, from a current total of 75 in Year 7 to 150 on completion. This will have a huge impact on the education offer The Trust provides in Corby and we look forward to working closely with partners to deliver this exciting project for Corby Technical School. Wates’ current education projects in the East Midlands region include the recent completion of the multi-million pound Arnold Hill Academy and the construction of Nottingham City Council’s £5.7m Bluecoat Academy Primary School project.